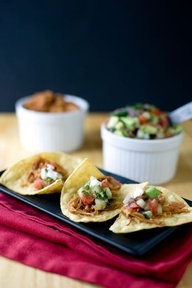 Instead of going with a full-on Valentines theme, just think an elegant appetizer party with friends. This is a celebration of friends whether, single, married, or just needing a break from the kids! Treat your friends to fancy party with candlelight, great food, wine, and over-due catching up. 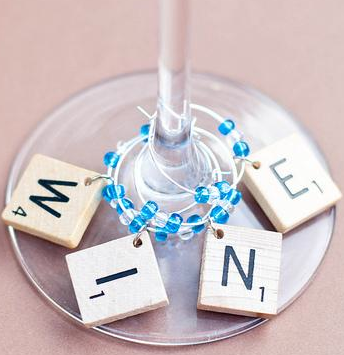 Buy inexpensive wine glasses and set them on a colorful tablecloth, each with these easy DIY wine charms that can double as party favors. No need to spend a lot of money, this is not an evening spent for romance. Use colorful flowers (aside from roses) in fun different creative vases, like teapots, wine decanters or Mason jars as centerpieces. Set out colorful candleholders in different shapes and sizes. Put together a fun playlist of upbeat songs. Since it is just the girls, keep the food small and dainty. Mini tarts, chicken satays, assorted sushi rolls, endive leaves with herbed ricotta, and a good cheese and cracker plate should keep the ladies full and happy. Setting up a few interactive stations is a nice way to keep everyone engaged. Fun ideas for make-your-own-stations are a mini panini station or mini tacos; this will give everyone a chance mingle while trying out new twists on their creations. Dessert could be a melting pot of chocolate fondue set on a coffee table. Cut up fruits and set out skewers and serve! Place plenty of pillows around the fondue pot and invite the girls to sit and talk around the fondue fire. A celebration of any kind usually calls for champagne, but to stay from getting too “Valentine’s” include a drink that just uses champagne as an ingredient. 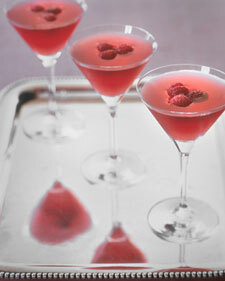 Try a signature drink like the girly Rasmopolitan, or champagne mojito’s. If you do not have the time or energy for planning a signature drink, ask your friends to bring one of two different wines under twenty-five dollars, for example either a Shiraz or Pinot Grigio. Cover the labels with paper bags and tie colorful ribbons under the opening. Mark each one by number and at the end of the evening vote on a crowd favorite.